Conditions inside the Allegheny County Jail are now so bad that even jail employees are coming forward with concerns. A corrections officer, who has chosen to remain anonymous, is seeking Worker’s Compensation after contracting respiratory issues, which he says are due to black mold in the jail. Although at a recent Jail Oversight Board Meeting Warden Orlando Harper stated that they “had the Health Department come in [to investigate the mold],” a spokesperson for the Allegheny County Health Department denied this claim. In addition to black mold, ACJ staff are forced to deal with incredibly long work hours. In 2016, the jail dished out over $5.5 million in overtime pay. One corrections officer earned over $170,000 due to excessive overtime, more than double his $74,000 base pay. In order to earn that much, the officer would have had to worked over 75 hours per week. This staffing fiasco creates negative consequences for everybody involved. Employees forced to work overtime hours face fatigue, lowered performance, and health problems. Guards and other jail staff play an integral part in keeping inmates safe, but this becomes impossible when guards are pushed passed the point of exhaustion and forced to watch over dozens of cells at once. Combined with the presence of black mold in the jail, working conditions have become increasingly difficult for jail employees. To cope with the lack of staff, the jail recently enacted a new policy that limits “move time” for inmates to 10 minutes each hour. Previously, most inmates were allowed to leave their 6 by 8 feet cells during most daylight hours. According to corrections officers, some inmates are “striking out” against the new rule. 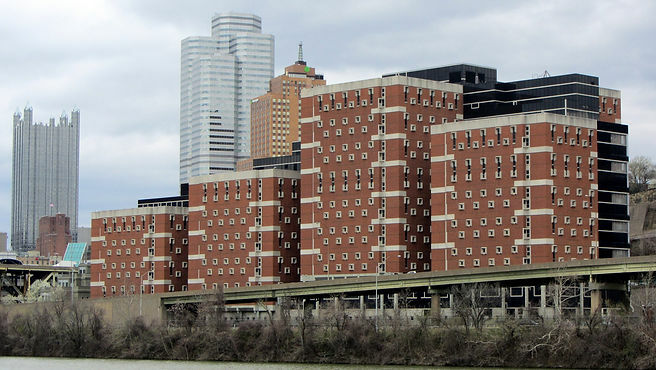 The Allegheny County Jail currently has a death rate double the national average. Every one of those deaths, including suicides, could have been prevented had the jail been properly staffed. Although approximately two-thirds of the 3000 inmates housed at ACJ suffer from mental health issues, the jail has yet to hire more than one full-time psychiatrist. According to former inmates, patients spend weeks waiting for counselling appointments and are routinely denied psychiatric medication. The jail has yet to launch any major community-based recruiting campaigns. Despite the relatively high salaries offered, jail careers are rarely marketed to students. Many Pittsburgh jobseekers, especially in the communities where most ACJ inmates are coming from, are not even aware that there are job opportunities in the jail at all. If the jail can afford to spend 5.5 million taxpayer dollars on overtime, it can certainly afford to clean up black mold and recruit more employees. Where are our priorities?